ITS is a world leader in delivering NLP, Coaching and Neuroscience learning. A primary resource for over 100 of the world’s top organisations. Our graduates go on to make massive changes in organisations and in their personal lives. ITS business and ITS personal. ITS understanding why and how and what to do. ITS the power of your thoughts and your words. ITS science and ITS emotion. ITS having a choice. ITS making a change. ITS the might of your potential and how you use it. ITS doing what matters. ITS being yourself. ITS inspiring others. ITS getting results. ITS having more than you ever thought you could. ITS having the how to’s. ITS International Teaching Seminars. Im a thought leader with a global reputation who was asked to leave school at 16. Im insightful because I needed to figure out what was going on in the family I grew up in. Im an advisor to CEO’s who started out as the manager of a dry cleaning shop. Im clear about what it is to start from nothing and gradually find your way. Im the founder of a successful business – which only matters because it lets me be in service of something much bigger than myself. Im on a mission to give people the tools that make change, success and fulfilment possible. Im Ian McDermott. He does this both personally and professionally with individuals, with teams and with organisations. The Founder of International Teaching Seminars (ITS) Ian has worked with hundreds of organizations and thousands of people. Based in the UK and the US, he has a global perspective working with international companies focusing on Leadership, Collaboration, Innovation, Entrepreneurship and Risk – [Find out more].From practical experience he knows what it takes to run a long-term successful business: International Teaching Seminars celebrates its 30th anniversary in 2017. Ian is a UKCP accredited psychotherapist and a Diplomate in Professional Coaching of the International Academy of Behavioural Medicine, Counselling and Psychotherapy. He has pioneered Leadership and Innovation Coaching and has literally trained a generation of coaches. He was described by the Independent as ‘the coaches’ coach”. He is a member of the Association for Coaching’s Global Advisory Panel [see more] and is AC Global Ambassador for Innovation and Collaboration. With his colleague Professor Patricia Riddell he has pioneered making the latest practical applications of work in the neurosciences available to people from all walks of life. Together they have created a new international benchmark in Applied Neuroscience certification trainings. These are delivered through ITS. Ian’s primary focus is on delivering practical ‘how-tos’ to ensure learning and change, innovation and collaboration really happen. That’s why he set up International Teaching Seminars. Our programmes draw on the rich diversity of the specialisms and expertise of our international team of trainers. ITS Founder, Ian has dedicated his life to giving people the tools to deal with the challenges they face and the necessary skills to create their own solutions. He does this both personally and professionally with individuals, with teams and with organisations. A Professor of Applied Neuroscience with a unique combination of skills that allow her to bring the expanding knowledge that we have about the brain and how it drives behaviour, to individuals and organisations. Patricia Riddell received a BSc from the University of Glasgow, continued to study for an MSc at Imperial College and then was awarded a doctorate from the University of Oxford. Patricia Riddell is Professor of Applied Neuroscience. One of her main research interests is the ways in which neuroscience can be applied in the business world, supporting and extending our understanding of human behaviour. She collaborates with colleagues at Ashridge Business School and IE Business School, Madrid researching aspects of leadership. In collaboration with Ian McDermott and as Consultant Neuroscientist with International Teaching Seminars, Patricia Riddell provides access to Applied Neuroscience through in-house training, consultancy and public programmes. Patricia Riddell and Ian McDermott combine the latest neuroscience with practical means to immediately impact real world challenges facing individuals, teams and organisations. Patricia Riddell has worked for Kaizen Training, where she developed customised neuroscience solutions for Sage Publishing. With colleagues from Ashridge Business School, she has also developed training in the Neuroscience of Leadership for the Foreign and Commonwealth Office. The current revolution in our understanding of the complexities of human behaviour provides an opportunity to use our brains better. Understanding and communicating this information requires a new breed of professional both with expertise in neuroscience and experience in the ways in which neuroscience can be used to tackle real world issues. Patricia Riddell’s range of experience and expertise is exquisitely suited to this role. She enjoys working at the interface between science and the business world, and finds this role challenging and exciting. As a past President of the ICF and co-creator of the International Coach Federation’s core coaching competencies, Pamela has helped shape what we know coaching to be today. Pamela Richarde is a pioneer in the field, and as co-creator of the International Coach Federation’s core coaching competencies has helped shape what we know coaching to be today. A seasoned facilitator, speaker and trainer, she has led hundreds of courses in both virtual and live settings, working with individuals in a variety of cultures, regions and business contexts. An ICF Master Certified Coach (MCC), as well as a Professional Mentor Coach Pam is also a founding member of the Association of Coach Training Organizations (ACTO) and a past President of the ICF. Pam holds a Bachelor’s Degree in Political Science and a Masters Degree in Performance/Directing. She was born in Berkeley, California and has lived in the UK, the Middle East and the Caribbean. A dedicated explorer, she is also a licensed hypnotist, and holds a 2nd degree black belt in Northern Style Shao Lin Kung Fu. A developer, author, trainer and consultant in NLP since it’s creation in the 1970’s, Robert Dilts’ name has become synonymous with excellence and commitment in the field. One of the most well respected developers and innovators in the field, Robert has been involved with NLP since its infancy in the early 70’s and is a seminal contributor to the basic concepts and presuppositions of NLP. His definitive books on NLP include ‘NLP Vol. 1′, ‘Applications of NLP’, ‘Roots of NLP’, ‘Beliefs: Pathways to Health & Well-Being’ and ‘Tools for Dreamers’. Robert is truly involved in advanced training in the practical applications and deep structure of NLP. 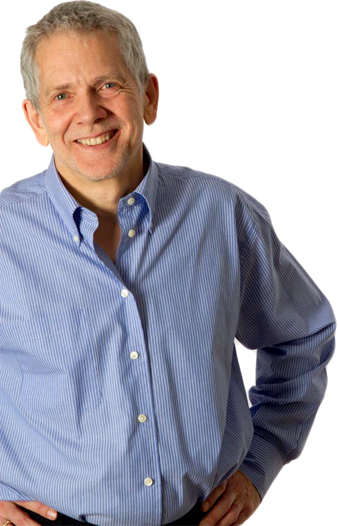 Robert Dilts has led the way in creating numerous specific techniques to elegantly and effectively help people to change limiting beliefs. In the process he has created a whole range of different approaches which enable just about anyone to generate new and appropriate beliefs which give hope for the future, a sense of capability and responsibility and the experience of self-worth and belonging. Tim Halbom is an internationally renowned NLP trainer, developer and author. His pioneering work with his wife Kris Hallbom has resulted in the internationally acclaimed training; The Wealthy Mind. Tim is co-author of ‘Beliefs:Pathways to Health and Well-Being’ and ‘NLP:The New Technology of Achievement.’ He has been training NLP for 20 years, and is known for his precision, humour, and his ability to make NLP easy to learn and understand. Tim is the owner and director of the NLP Institute of California. Tim has done extensive research in the areas of stress, health, financial prosperity and personal productivity. He also maintains a busy private coaching and consulting practice in the San Francisco Bay Area. A coach, talent developer for leaders and contributor to the development of the coaching profession since 1995. Terrie has been a member of the ICF Credentialing Committee since 2002. Terrie has been coaching and contributing to the development of the coaching profession since 1995. For nine years she served as CEO of Newfield Network, Inc., an international, ontologically based coach training organization. In that capacity she both led the organization and delivered coaching programs to individuals and teams around the world. She has managed and co-facilitated coach training programs at George Mason University and Villanova University. As well as being an ICF Master Certified Coach (MCC) Terrie is also a former Board Member of the International Coach Federation and has been a member of the ICF Credentialing Committee since 2002. Terrie’s earlier career was spent working in two U.S. federal agencies over 14 years. At the Department of the Treasury, she was a senior financial systems analyst working to improve financial reporting systems. At the U.S. Courts, she was a senior manager helping to improve the operations of the District and Circuit court system. Terrie is a contributing author to two books on coaching, A Coach’s Guide to Emotional Intelligence and The Handbook of Knowledge-Based Coaching. She is presently writing a book for coaches to help them better notice and work with the stories and assumptions their clients are trapped in that limit what’s possible. Terrie is a regular contributor to Task.fm, an online platform for connecting professionals to business expertise. They manage the day-to-day operations, support the strategic development of ITS and are key in our numerous collaborations. They really do make things happen, both through caring about the kind of change work ITS does and their commitment to high professional standards. They are a friendly bunch too! ITS House, Webster Court Websters Way Rayleigh Essex SS6 8JQ, United Kingdom. Graduates of ITS Certified Programmes who come back and volunteer to support the facilitation of ITS programmes and workshops. This is both a commitment to their own personal learning and to the support of each and every participant that comes through the training.